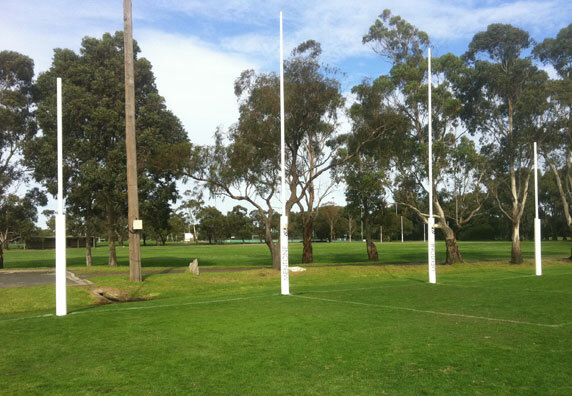 At Kings Sports we specialise in the manufacturing of steel AFL goal posts. Steel goal posts although a lot heavier then aluminium offer a stronger and more durable lifespan. All posts are galvanised tube, powder coated pearl white and come complete with all ground sleeves and caps. Kings Sports also offers the option of screen printed sponsor wraps. Sponsor wraps are a great way to give exposure to your local sponsors or club advertising without having to purchase different sets of post padding. This option is great for junior and senior clubs when sharing post padding and sponsorship exposure may vary. The wraps also allow clubs to get long jeopardy out of their post padding without having to re-print different sponsors on a year to year basis. The wraps are easy to apply and come with either Velcro fasteners or eyelet lacing system. Factors to consider when purchasing post padding wraps with existing post padding. Whether it be spectator safety or player convenience AFL retaining netting is a great way at controlling incoming footballs. 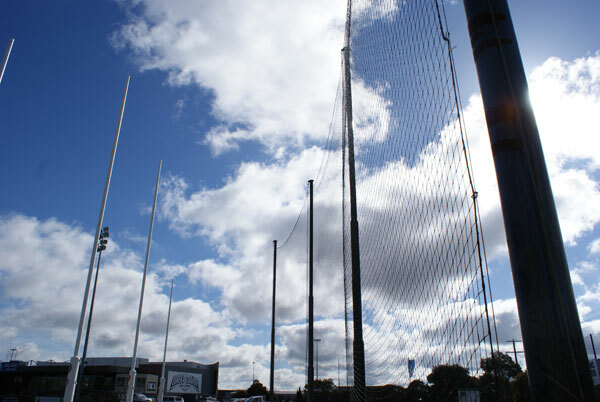 Barrier netting systems can be set up and designed to suit any particular requirements, whether it be on a permanent basis or a temporary basis, Kings Sports designs and manufactures the system to suit. * All netting is black polyethylene material which has been break strain tested and UV treated.